Clay Kreiner, Alex Perelson, Jack Fardell, Toby Ryan, Trey Wood, Skylar King. New. Knew. New. A glimpse of madness from the new spring drop. 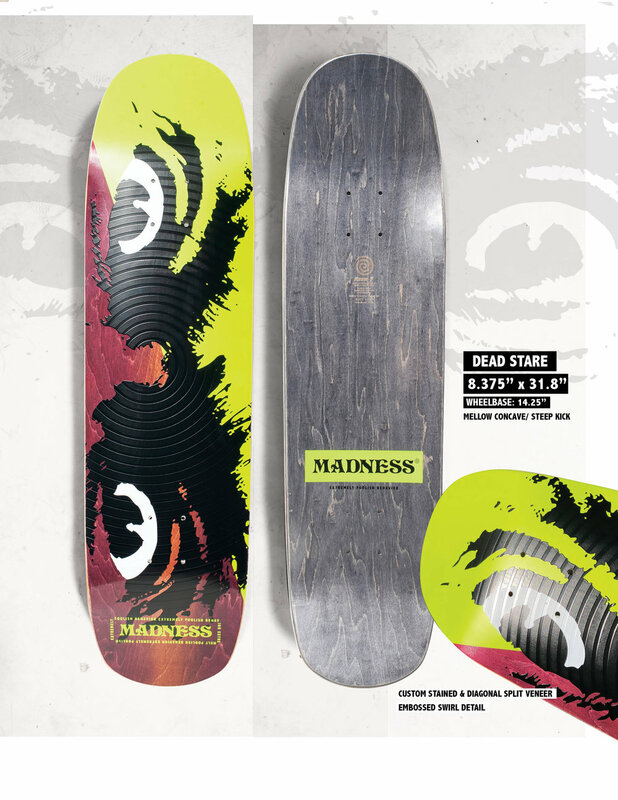 New MADNESS Pro Drop: Clay Kreiner, Alex Perelson, Jack Fardell, and Sam Beckett / Now Avaialable. A rainy day made the perfect excuse to line up a Combi Pool session at Vans in Orange County with the Madness crew and some homies. What was known to everyone but Clay Kreiner was that the boys came together to celebrate Clays first PRO Model for Madness Skateboards. Needless to say Clay didn’t see it coming and everyone had a blast sharing the moment and sessioning the bowl. Congrats Clay you beyond deserve it! Jack ripping at the berrics! Check out the footage from our latest trip to the PNW! MENTALLY WELL - Featuring: Sam Beckett, Clay Kreiner, Alex Perelson, and introducing Toby Ryan. The M A D N E S S Apparel is here!